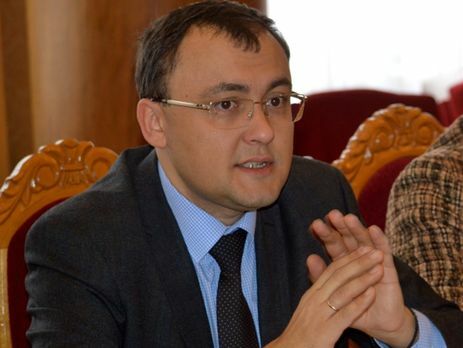 Vasyl Bodnar, the Deputy Foreign Minister of Ukraine admits that Poland can get the permission for the exhumation in case of the presence of the proper background of the bilateral relations and expects from Poland a step for the restoration of the Ukrainian memorials at the territory of the state as Interfax-Ukraine reported. 'In fact, there is no moratorium, but the commission that gives the permission for the performance of the particular works. The proper background, not negative when there are always complaints to Ukraine, should be created for such permission. At least, a first step should be made in the restoration of the memorials and we wait for this. I think the permissions will be issues', Bodnar claimed. He emphasized that not only the officials but also the representatives of the non-governmental organizations. Bodnar specified that the Ukrainian side is interested in the restoration of the Ukrainian memorials in Poland, protection of the rights of the Ukrainian minority in Poland and solution of the situation around law 'On National Remembrance Institute'. Also, Ukrainian and Polish side work on the organization of visit of Piotr Glinski, Deputy Prime Minister, Minister of Culture and National Heritage of Poland in Ukraine in the nearest months. Ukraine canceled the permission of Polish Institute of National Remembrance to search and exhume Polish, buried in Ukraine, and did not agree to restore them. This worsened relations between two countries. It happened in April, after the monument to Ukrainian Insurgent Army in Hruszowice (Poland) was toppled. Countries discussed the issue a few times, though unsuccessfully – the sides were just trading accusations.